Saturday was a good mail day. The copies of volumes 2 and 3 of A History of Evangelicalism arrived (The Expansion of Evangelicalism: The Age of Wilberforce, More, Chalmers, and Finney, and The Dominance of Evangelicalism: The Age of Spurgeon and Moody). I was prepared to be let down by volume 2, because I enjoyed volume 1 so much, and volume 2 is not written by the same author (vol 1 is written by Mark Noll and vol 2 is writte by John Wolffe). However, I am really enjoying The Expansion of Evangelicalism. The purpose of this post, however, is not to review the book. It is to point to a thought that I had as I was reading the second chapter which describes revivals which occurred in Britain and the United States from 1790-1820. “Seldom a week passed in which we did not see or hear of one, two, or three persons, brought under deep concern about their souls, accompanied with strong convictions of sin, and earnest enquiry after a Saviour” (54). It seems to me that part of the reason that there were periods of revival in Britain and North America during this period was because there was general agreement on the basics of the Christian message, at least among those who were involved in the revivals. Traveling preachers who could not agree on other things, were able to agree that it was essential to wake people up to the reality of their standing before God and to lead them to sorrow for their present state. All of this was so that these preachers could point people to the hope of salvation, to the one who is both able and willing to save. In public settings, from field preaching, to camp meetings, and other venues, there seems to have been a broad consensus and a deep passion for the importance of convincing people of the basic truth of this message. Historians have pointed to other factors that contributed to the potency of the evangelical revivals, but this seems, at least, to be one key factor. 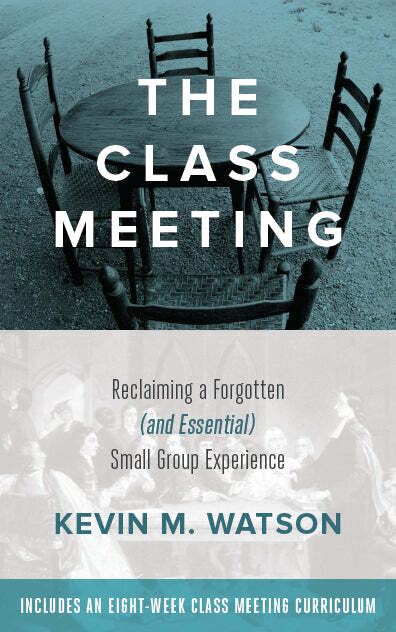 Today, there seems to be broad consensus that renewal, even revival, would be a wonderful thing for United Methodism to experience. A difficult question facing United Methodists, however, may be: Are we able to agree on what the basic message is that we should hope to share with those who have not heard the good news? Indeed, it seems that we even sometimes disagree about whether or not we should even try to share our faith. For those who yearn for renewed vitality in our denomination, we may have something to learn from our spiritual forebearers. They seem to have had passionate and convicted answers to these questions: Why is salvation important? What do I need to be saved from? What do I need to be saved for? How can I be saved? It seems to me that an important initial step to our efforts to find renewal and reverse the recent pattern of decline in our denomination will be to decide what our message to a broken and hurting world is and to share it with excitement, passion, and conviction. Thank you Kevin! Another great blog. I agree with you whole-heartedly. It is of paramount importance that we decide what our message to a broken and hurting world is and to share it with excitement, passion, and conviction. Help us Christ to fall madly, deeply in love with you, dedicate our lives to your purpose, and allow the Spirit of God to empower us to preach the Gospel in such a way that it brings conviction, conversion, and conformity to Christ. 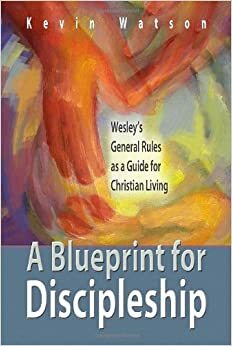 I have decided to give your A Blueprint for Discipleship to all the college students who participate in our Wesley Ministry from Western Oklahoma State College here in Altus. We hope to see new converts, grow deeply devoted disciples for Christ, and mobilize students for world transforming ministry. I want you and your family to come to Altus to preach and teach. When is a good time to schedule this? David, Thank you for the kind words. And I hope that Blueprint will be a blessing to your students. I would love to come to Altus but it may be a little bit, as I have quite a bit on my plate in the near future, especially with teaching United Methodist History at Perkins in the fall. Let’s talk more about that in the future though. What important questions. Unless we have good answers, I’m not sure we can take the step from church membership drive to revival.